Name is pronounced yah-SEE-el PWEEG...was selected by fans to start the 2014 National League All-Star Game at Min's Target Field...participated in the Home Run Derby...following the 2013 season finished second in the Baseball Writers' Association of America's National League Rookie of the Year Award voting and 15th in the Most Valuable Player Award balloting...was named to Baseball America's All-Rookie team...following his 2014 All-Star season finished 19th in the BBWAA's National League MVP Award voting...was National League Rookie of the Month in June 2013...was National League Player of the Month in June 2013 and May 2014...3 times was named National League Player of the Week (6/4-6/10, 2013; 9/13-9/19, 2014; 9/10-9/16, 2018)...in 2017 was the Wilson Defensive Player of the Year as the Major Leagues' best defender in right field...among all players since his Major League debut on 6/3/13 ranks 22nd in slugging percentage (.478) and 32nd in on-base percentage (.353)...during his 6-year tenure with the Dodgers led the club in triples (19), HR (108) and extra-base hits (256)...his 58 career Postseason apps for the Dodgers are the most in that franchise's history (.280, 6 2b, 3 3b, 5hr, 23rbi, 2sb)...played in 6 Division Series, 4 League Championship Series and the 2017 & 2018 World Series...over the 2017 and 2018 Postseasons hit .292 (31g, 31-106, 5 2b, 1 3b, 5hr, 18rbi), the fourth-highest batting average among the 28 players who recorded at least 50 at-bats...his 18 RBI the past 2 Postseasons are tied for second-most...his 3 home runs in the World Series (2 in 2017, 1 in 2018) tie Jose Canseco and Hall of Famer Tony Perez for the most HR in World Series history by a player born in Cuba...played professionally for Cuba in his hometown of Cienfuegos during the 2008-2009 and 2010-2011 Cuban Series...did not play in 2009-2010 or in 2011-2012...in his first professional season hit .276 with 5 HR and 26 RBI...in 89 apps for Cienfuegos during the 2010-2011 campaign hit .330 with 19 doubles, 6 triples, 17 HR, 47 RBI and a .430 on-base percentage...that season ranked among the league leaders in OPS (1.011, 2nd), total bases (2nd), doubles (T1st) and home runs (T2nd)...is 1 of 5 players born in Cuba participating in the Reds' 2019 Major League spring training camp (RHP Raisel Iglesias, minor leaguers RHP Odrisamer Despaigne, RHP Vladimir Gutierrez, IF Alfredo Rodriguez). Founded the Wild Horse Foundation, which aids economically disadvantaged children and families by focusing on helping the community prioritize health and education...in December 2015 traveled with Major League Baseball on its goodwill tour of his native Cuba. Was National League Player of the Week for 9/10-9/16 (7g, .429, 1 2b, 5hr, 9rbi, .500obp, 1.190slg), his third career weekly award...led National League right fielders in errors (8) and assists (10) and led all NL outfielders in double plays turned (4)...led Dodgers batters in stolen bases...was 1 of 7 Dodgers batters to produce at least 20 HR, the most ever for a National League team (Max Muncy 35, Joc Pederson 25, Cody Bellinger 25, Yasmani Grandal 24, Puig 23, Kiké Hernández 21, Matt Kemp 21)...the Dodgers led the NL with a team-record 235 HR, seventh-most in league history...on 8/11 at Col hit the 100th HR of his career (solo off Kyle Freeland)...as the Dodgers pushed for a playoff spot in September, that month ranked among the National League leaders in HR (8, T3rd) and OPS (1.074, 4th)...was named NL Player of the Week following performances at StL on 9/14 (2 solo HR) and 9/15 (3hr, 7rbi, both single-game career highs)...his 5 HR in 2 days tied a Dodgers record held by Shawn Green, who hit 5 HR on 5/23 & 5/24, 2002...became the ninth Dodgers batter with consecutive multi-homer games and the 24th to hit at least 3 homers in a game. Set career-marks in games played (152), home runs (28), RBI (74) and stolen bases (15), while posting a .263/.346/.487 slashline with 72 runs, 24 doubles and two triples...tied for the team lead with 42 multi-hit games, while ranking second in homers and stolen bases and third in RBI...Ranked among the Top-25 in the National League in home runs (T-23rd), stolen bases (T-19th) and slugging percentage (21st)...Hit .288 against right-handed pitchers, which ranked 19th best in the NL, compared to a .183 mark against southpaws...In 145 games (135 starts) at right field, he posted a .996 fielding percentage (1 E/1201.2 IP), which ranked fourth best among National League outfielders and second among Major League right fielders...also recorded four outfield assists...selected as Wilson Defensive Player of the Year as baseball's best defender in right field...Collected his fourth career multi-homer game of his career on July 14 at MIA, stroking a solo home run in the fifth inning and a three-run shot in the ninth inning, which were both go-ahead homers...it was the first time in his career he had hit two go-ahead homers in a game and according to Elias, became the only Dodger player to accomplish the feat since the team moved out west in 1958... Started in right field in all 15 postseason games for the Dodgers, posting a .286/.365/.518 slashline with eight runs, two doubles, one triple, three homers and 10 RBI. Hit .263 with 11 homers and 45 RBI in 104 games in his fourth big league season with the Dodgers...Batted .301 with RISP (25-for-83) and .314 with runners on base (50-for-159)...Optioned to Triple-A Oklahoma City from Aug. 4-Sept. 2, where he posted a .348/.400/.594 slashline with 12 runs, three doubles, a triple, four homers and 12 RBI in 19 games...Placed on the disabled list from June 3-21 with a strained left hamstring...Hit .211 (4-for-19) with a run scored in 10 postseason games (three starts). Limited to 79 games due to a pair of DL trips with a strained left hamstring (April 26-June 6) and a strained right hamstring (Aug. 28-Oct. 3), batting .255 with 11 homers and 38 RBI in his third big league season. ... Posted a .279/.380/.544 slashline against left-handers, while slashing .248/.302/.402 against righties. ... Had a strong finish to the season, hitting safely in his last 11 starts from Aug. 13-Oct. 3…batted .341 (14-for-41) with a double, two homers and four RBI during the season-long hitting streak. ... Appeared exclusively in right field (78 games, 71 starts), committing just one error (.993 fielding percentage) and recording six outfield assists in 638.0 innings. ... Drove in all five runs for the Dodgers on Aug. 11 against the Nationals, as he tied his career high in RBI, previously set in his second career game, June 4, 2013 vs. San Diego…according to Elias Sports Bureau, it marked the eighth time since 1920 that a Dodger player drove in at least five runs that accounted for all the team's scoring in a game (last: Eric Karros, 5 RBI in the Dodgers' 5-0 win on June 18, 1998 at Colorado). ... Appeared in three games (one start) in the NLDS vs. New York and was held hitless in six at-bats. Saw his first big league action and batted .319 with 19 home runs and 42 RBI in 104 games in his rookie campaign, providing a spark to the Dodgers, who went 66-38 (.635) in games that he appeared. Opened the season at Double-A Chattanooga and hit .313 with 13 steals, 12 doubles, three triples, eight homers and 37 RBI in 40 games with the Lookouts, leading the Southern League with in batting average and a .599 slugging percentage…also ranked among the league leaders in steals (T-10th), doubles (T-5th), triples (T-7th), home runs (T-4th) and total bases (88, 6th) … batted .373 (19-for-51) with runners in scoring position for Chattanooga. Recalled by the club on June 3 from Double-A Chattanooga and made his debut that night against San Diego, singling in his first at-bat and going 2-for-4 in the game … contributed in the field as well, ending the game in dramatic fashion, as he doubled Chris Denorfia off first base after catching a line drive in right field. From the time of his recall (June 3) through the conclusion of the season, ranked among the NL leaders in batting average (.319, 7th), hits (122, 5th), runs (66, 4th), home runs (19, T-7th), on-base percentage (.391, 8th) and slugging percentage (.534, 4th). Selected to Baseball America's All-Rookie Team as he led MLB rookies (min. 400 PA) in batting average, onbase percentage and slugging percentage and posted one of the best rookie campaigns ever by a Dodger, ranking among the Los Angeles all-time rookie leaders in batting average (2nd), hits (122, T-12th), runs (66, 7th), doubles (21, T-8th), home runs (19, 5th), on-base percentage (2nd) and slugging percentage (3rd). Posted 36 multi-hit games in 104 games and finished the season tied for seventh overall in the NL with 13 games with three or more hits despite spending the season's first two months in the minors. Ranked among the overall Dodger team leaders with 19 homers (3rd) and 122 hits (4th) … his 19 home runs were the fifth-most by a Los Angeles rookie and most since Mike Piazza's 35 in 1993. Posted a season-long nine-game hitting streak from June 26-July 5, batting .421 (16-for-38) during the run. Scored a run in eight consecutive games from June 27-July 5, the longest streak by a Dodger this season. Hit .551 (38-for-69) with seven doubles, a triple, nine home runs and 20 RBI when putting the ball in play on the first pitch, good for a .569 on-base percentage and 1.072 slugging percentage. Had eight outfield assists in 100 games (96 starts), tying for the second-most assists by a Los Angeles Dodger rookie outfielder…ranked seventh among NL outfielders (min. 100 games) with a .916 zone rating. Hit his first-career grand slam on June 6 against the Braves with an eighth-inning shot off Cory Gearrin to break the game open…posted his only multi-homer game in the second game of his career on June 4 against the Padres, going 3-for-4 with a three-run homer in the fifth inning and a two-run shot in the sixth. Named NL Player of the Month and NL Rookie of the Month for June…it was just the fifth time since the Rookie of the Month Award was introduced in 2001 that a Player or Pitcher of the Month Award winner has garnered Rookie honors in the same calendar month…was the first to win a Player of the Month Award in his first month in the big leagues since the award was instituted in 1958. Set the record for most hits in a calendar month for a Los Angeles Dodger rookie and his 44 hits were the second-most all-time for a player in his first career month behind only Joe DiMaggio (48 in May 1936)…in 26 games during the month, led the Majors with a .436 (44-for-101) batting average, 44 hits and a .713 slugging percentage…ranked among N.L. leaders with a .467 on-base percentage (1st), 72 total bases (2nd), 19 runs scored (T-3rd) and seven home runs (T-5th)…joined DiMaggio as the only players in Major League history to record at least 40 hits while hitting at least four home runs in their first month in the Majors. Awarded National League Player of the Week for the period ending June 9, his first week in the Majors, by batting .464 (13-for-28) with two doubles, four homers and 10 RBI in seven games…hit four home runs in his first five MLB games, the first Dodger ever to do so…led baseball with 27 total bases and was tied for the Major League lead with four home runs…his .964 slugging percentage was second-best in the Majors and was the top mark among National Leaguers. Started all 10 of the Dodgers' postseason games and batted .333 (13-for-39) with a double, a triple and four RBI…his 13 hits were the most ever by a Dodger rookie in a single postseason…hit .471 (8-for-17) with five runs scored, a double and two RBI in four games in the Division Series against Atlanta…his DS batting average was the fifth highest all-time by a rookie in a postseason series. Batted .517 (30-for-58) with five doubles, two triples, three homers and 11 RBI in 27 Cactus League games with the Dodgers before he was optioned on March 26. Hit .354 with 20 runs scored, eight steals, five homers and 15 RBI in 23 combined games with the Rookie-level AZL Dodgers and Single-A Rancho Cucamonga. Posted a combined .442 on-base percentage and a .634 slugging percentage in his first season in the United States. Combined to hit .375 with runners in scoring position (9-for-24). After going 0-for-4 in his debut for the AZL Dodgers, hit safely in his last eight games and batted .400 (12-for-30) with 10 runs scored, three triples, four homers and 11 RBI in nine contests. Promoted to Single-A Rancho Cucamonga on Aug. 14 and posted five multi-hit games in 14 contests with the Quakes, including a four-hit effort on Aug. 26 against San Jose (Giants). Signed a Major League contract as a free agent on June 29 and optioned to the Rookie-level AZL Dodgers…activated by the AZL Dodgers on Aug. 1. Underwent a wash out procedure on Sept. 18 by Dr. Brian Shafer to help with a staph non-MRSA infection on the back of his right elbow, which kept him from playing in the Arizona Fall League. Following the season, played for the Indios de Mayaguez of the Puerto Rican Winter League. April 11, 2019 Cincinnati Reds activated RF Yasiel Puig. 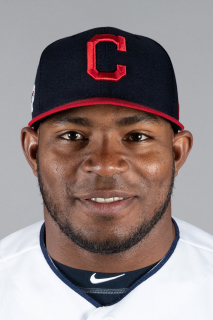 April 9, 2019 RF Yasiel Puig roster status changed by Cincinnati Reds. September 7, 2018 Los Angeles Dodgers activated RF Yasiel Puig. September 4, 2018 RF Yasiel Puig roster status changed by Los Angeles Dodgers. July 28, 2018 Los Angeles Dodgers activated RF Yasiel Puig from the 10-day disabled list. July 24, 2018 Los Angeles Dodgers sent RF Yasiel Puig on a rehab assignment to Oklahoma City Dodgers. July 9, 2018 Los Angeles Dodgers placed RF Yasiel Puig on the 10-day disabled list. Right oblique strain. May 9, 2018 Los Angeles Dodgers activated RF Yasiel Puig from the 10-day disabled list. May 8, 2018 Los Angeles Dodgers sent RF Yasiel Puig on a rehab assignment to Rancho Cucamonga Quakes. September 2, 2016 Los Angeles Dodgers recalled RF Yasiel Puig from Oklahoma City Dodgers. August 2, 2016 Los Angeles Dodgers optioned RF Yasiel Puig to Oklahoma City Dodgers. June 21, 2016 Yasiel Puig roster status changed by Los Angeles Dodgers. June 13, 2016 Los Angeles Dodgers sent RF Yasiel Puig on a rehab assignment to Rancho Cucamonga Quakes. June 3, 2016 Los Angeles Dodgers placed RF Yasiel Puig on the 15-day disabled list. Strained left hamstring. October 3, 2015 Los Angeles Dodgers activated RF Yasiel Puig from the 15-day disabled list. June 6, 2015 Los Angeles Dodgers activated RF Yasiel Puig from the 15-day disabled list. June 4, 2015 Los Angeles Dodgers sent OF Yasiel Puig on a rehab assignment to Rancho Cucamonga Quakes. May 7, 2015 Los Angeles Dodgers sent RF Yasiel Puig on a rehab assignment to Rancho Cucamonga Quakes. June 3, 2013 Los Angeles Dodgers recalled RF Yasiel Puig from Chattanooga Lookouts. April 29, 2013 Yasiel Puig roster status changed by Chattanooga Lookouts. April 20, 2013 Chattanooga Lookouts placed RF Yasiel Puig on the 7-day disabled list. March 26, 2013 Los Angeles Dodgers optioned RF Yasiel Puig to Chattanooga Lookouts. November 17, 2012 LF Yasiel Puig assigned to Indios de Mayaguez. October 4, 2012 Los Angeles Dodgers recalled Yasiel Puig from Rancho Cucamonga Quakes. August 14, 2012 Yasiel Puig assigned to Rancho Cucamonga Quakes from AZL Dodgers. June 30, 2012 Los Angeles Dodgers optioned Yasiel Puig to AZL Dodgers. June 29, 2012 Los Angeles Dodgers signed free agent OF Yasiel Puig.